Only pure love is capable of opening wide the windows of the heart so that one can see into the very soul of life. Pure love sees not with the physical eyes but with the eyes of the soul. It sees not just the body but the soul of the beloved. It appreciates the Higher Self of the beloved and is drawn to the kindred song that calls awake the same melody humming deep within its own heart. Pure love is ever-giving. It desires only to give, to serve, to worship at the altar of Love. It seeks not to possess but to bestow. It willingly sacrifices everything for the beloved without ever feeling that it is giving because the nature of pure love is unity, oneness of life. When the beloved eats, the lover feels full. There is no longer any division between “me” and “mine” – no boundaries of the ego to obstruct the flow of love. Love is the most powerful force in the universe yet it is the most tender. It requires great courage to give of oneself completely and infinite tenderness to nourish the deepest level of someone else’s being. It is the pride of the ego which stands in the way of pure love for it is the nature of the ego to assert its independence and it is the nature of love to unite, but even the resistance of the ego can ultimately be overcome by the power of pure love for the bliss of union surpasses the limited pleasure of self-assertion. There is a beautiful saying by Maharishi Mahesh Yogi: “Love is an eternal triangle. God is at the apex of the triangle and man and woman at the base of the triangle. When man and woman are united at the top, they will not be separated at the bottom. Union for unity. Unity for union with God.” Ideal relationships are based on a spiritual union of deep love and devotion. Such a union opens the heart, enabling the feelings to soar upwards to God. Only a relationship based on pure love can untie the knots of the heart and melt the rigid space-time boundaries of the ego so that the inner vision can expand to embrace the totality of life. In an ideal relationship, the spiritual union between the heart of the man and woman is most important. The quality and strength of their union on the spiritual level is what sustains and develops their relationship on the emotional, mental and physical level. The bliss of spiritual union based on pure love far exceeds the transitory happiness available on the emotional, mental or physical level because the spiritual level is the immortal, never-changing level of life whereas the grosser levels of life are always changing. Such a spiritual union is the ideal kind of relationship for seekers on the path of liberation for, like a divine elixir, pure love heals, soothes and nourishes the finest level of feeling. 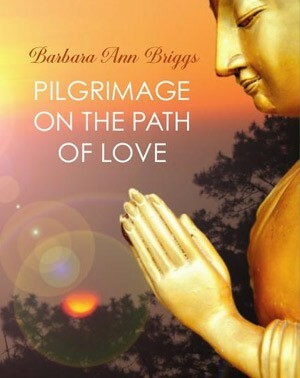 Barbara Ann Briggs is the author of Pilgrimage on the Path of Love, a novel of visionary fiction, available on Amazon.